Looking for LED strips? Discover our large range inclusive RGB or dimmable ledstrips! Even waterproof ledstrips for outside! Are you looking for a LED strips? At My Planet LED, you are at the right place! We have LED strips in different colours, wattages and also waterproof LED strips. At My Planet LED, you will find the right LED strip! Our assortment led strips is very large : we have led strips in 4,8W/m, 7,2W/m, 9,6W/m or 14,4W/m. 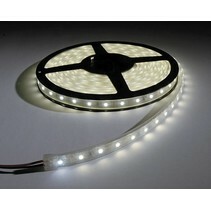 Al these led strips are delivered on a led roll of 5m and we deliver only LED strips of 24V (12V becomes too hot). The led driver is not included but you can become it separately. The led strips can be provided in warm white, normal white, cold white or in colour (led strip RGB (red, green, blue) with remote control or unicolour blue, red, green, yellow). If necessary, we can deliver a led dimmer. The led strips can also be shortened (every 6cm). Some led strips (IP20) have an adhesive layer which makes it easy to fix them. For the longevity, it's advised to used led profiles. You can also find them in our led shop! There are several applications for led strips : coving lighting, display window lighting, stairway lighting, cupboard lighting, kitchen cupboard lighting, aquarium lighting, terrarium lighting, publicity lighting, garden lighting. * IP20 : these led strips are not resistant to water. It can only be used for inside lighting. * IP65 : these ledstrips are resistant to water jets. It can be used in the kitchen or bathroom. You can buy your LED strips at My Planet LED and there are more reasons why you should order your led strips with us. With us, you order easyly and quickly your LED strips. Aren't you sure that the LED strips are suitable for your house? That's no problem because at My Planet LED, you can use our 14 days return policy. Of course, you can also count on the excellent service of My Planet LED! Would you like to have more information about a LED strip? Do you need more information about one particular LED strip? 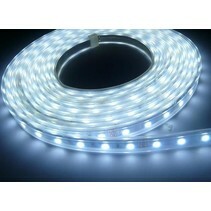 Or are you looking for a special LED strip which you cannot find on our led shop? Or would you like to have more information about My Planet LED? Contact us please! You can send a mail at info@myplanetled.com or call us at (+32) 57 466 866.